On 21st. September 1990 that time president Mauno Koivisto dictated his opinion in the protocol of Finnish cabinet that some parts of the Paris agreement had become invalid. Finland sent letters to United Kingdom and Soviet Union of the president Mauno Koivisto?s decisions. There was no replies. I have been wrong. Both United Kingdom and that time Soviet Union have answered to the Finnish initiatives. The answers had been declared secret for 25 years. Just recently I had become aware of this secret correspondence as it became public starting from the beginning of the year 2015. What this new situation means? We are facing a high treason towards Finnish nation and all ten signing parties of the Paris peace agreement plus United Nations as well as European Union and her member states. There has been so called secret Operation PAX with an aim to nullify the Paris peace agreement of the year 1947 between Finland and ten Allied nations including UK and Soviet Union to finalize the peace between the parties. The target for the conspirators has been also to cancel the agreement for the mutual friendship and assistance between Soviet Union and Finland of the year 1948. Obviously the real reason for the Operation PAX was to destroy the obstacles for Finland in the planned joining in the European Union and NATO. These two agreements created the hindrances for Finland to join European Union and it?s mutual security and defense policy and well as forthcoming European Union army. ”Paatosta (Pariisin rauhansopimuksen vesittaminen) oli Helsingissa valmisteltu hyvin pienessa piirissa, koska operaation (PAX) vuotaminen julkisuuteen olisi voinut vahingoittaa sita pahoin. Tasavallan presidentti (Mauno Koivisto) informoi tehtavista paatoksista eduskunnan ulkoasiainvaliokunnan puheenjohtajaa Markus Aaltosta perjantai-aamuna 21.syyskuuta (1990) ennen valtioneuvoston istuntoa”. The decision (to nullify the Paris Peace agreement of the year 1947) has been prepared in Helsinki within a small group, because if the Operation (PAX) would have been revealed, publicity could have been damaging. President Mauno Koivisto informed the chairman of the parliament foreign relations committee Markku Aaltonen only on Friday morning 21st of September 1990 just before the cabinet meeting. The first plan for the Operation PAX was prepared by Rene Nyberg in the Finnish ministry of Foreign affairs on 10th of April 1990 as per his article in Kanava magazine 15th of January 2008. The plan was presented to Jaakko Blomberg that time chief of the political department of the Finnish ministry of Foreign affairs. The idea was that the Finnish cabinet in her meeting in the presence of president Mauno Koivisto would have decided to nullify Paris peace agreement and specially the section III and also the agreement for the mutual friendship and assistance between Soviet Union and Finland. Something went wrong as the cabinet did not make any such a planned decisions. Protocol of the cabinet meeting dated 21st of September 1990 number 95/1990 states, that cabinet meeting did not decide anything, only president Mauno Koivisto himself decided to make the decisions meant to be made by the cabinet concerning the Paris peace agreement as per enclosure one of the written protocol 95/1990. In the enclosure one it had been presumed of the cabinet decision, which then did not occur. 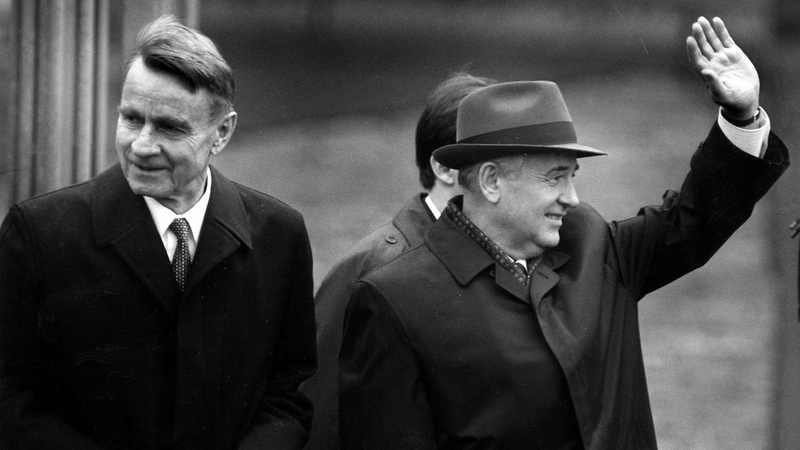 Cabinet also decided to file the statement by president Mauno Koivisto to invalidate the agreement for the mutual friendship and assistance between Soviet Union and Finland. Most probably the change in the plans took place as it was understood, that the cabinet cannot alter or nullify the Paris peace agreement and the agreement for the mutual friendship and assistance between Soviet Union and Finland. Such a power belongs to the parliament only. There was a danger for high treason. Anyhow also president Mauno Koivisto did not have any such a power to alter or nullify those international agreements. High treason took place anyhow involving all the participants of the cabinet meeting. The article 22 of the Paris peace agreement states also that all changes in the section III can be made only by an agreement between the Security Council of the United Nations and Finland. As this did not take place, Finland has broken the norms of the United Nations too. In the anticipation that cabinet meeting will make the suggested decision on 21st of September 1990, Finnish ministry of Foreign affairs made a Press release number 277 for the day 21st of September 1990 telling that the cabinet meeting had made the decision concerning the Paris peace agreement. As It has now been revealed, this did not happen. The press release is false. In the press release it was mentioned that UK and Soviet Union had been informed of the government decision. This did occur. On 17th of September Finnish ambassador in Moscow Heikki Talvitie met USSR first deputy minister of Foreign affairs Juri Kvitsinskij on Monday 17th of September 1990. Heikki Talvitie gave him the copy CCCB507/MOS of the government decision dated 17th of September 1990 that was actually just planned to happen four days later. Heikki Talvitie has mislead the USSR as no such a decision could not have been made on 17th of September or earlier as the cabinet meeting took place only on 21st of September 1990. Also the cabinet after all did not make any such decisions that was written in the paper given by Heikki Talvitie to Mr Juri Kvitsinkij. Ambassador Heikki Talvitie must have known that he has mislead his counterpart. The official reaction by USSR has been secret for 25 years. USSR note dated 6th on November 1990 number 281/2ey to Finland has become public just lately. It confirms the Finnish statement that basis of her security and defense policy stays unchanged and size of her military forces are not exceeded as per Paris peace agreement. Also Finland will not make use of any atomic weapons as per stated in the Paris Peace agreement. No doubt Finland has clearly broken those assurances by joining European Union. Finland has changed 180 degrees her security and defence policy also by joining the military co-operations of NATO. Finland has bought cruise missiles that can be equipped with nuclear heads too. The conspiracy has been kept secret as the documents were declared secret for 25 years. Those responsible in the high treason in the cabinet meeting have had and still have important positions in the Finnish politics so they have been able to cover their conspiracy leading Finland into deeper crises and despair. When Operation Pax was planned and carried through there has been number of accessories within the Finnish administration. Today there are even more accessories as the wrongdoings are hushed away and there is huge cover up going on.